June 8, 2018, marks the one-year anniversary of Baby Steffen’s death. Photo source – Reunite the Rivenburgs  Facebook page. Friday, June 8, 2018, marks the 1-year anniversary of the tragic death of medically kidnapped Baby Steffen Rivenburg at Vanderbilt Hospital, under the care of Tennessee Department of Children’s Services (DCS). 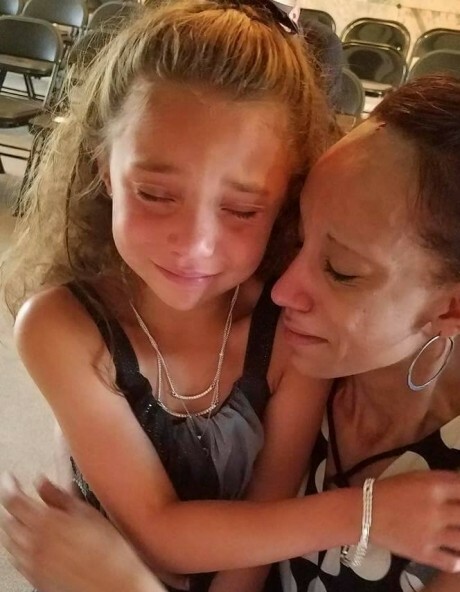 His big sister, Annalise, remains in foster care and DCS is, again, trying to terminate parental rights. There will be a march and candlelight vigil in Baby Steffen’s honor on Friday, June 8th, at the Nashville State Capitol building, followed by a Saturday afternoon event with several speakers discussing judicial accountability, family integrity, and other issues important to families. The public is invited to attend. 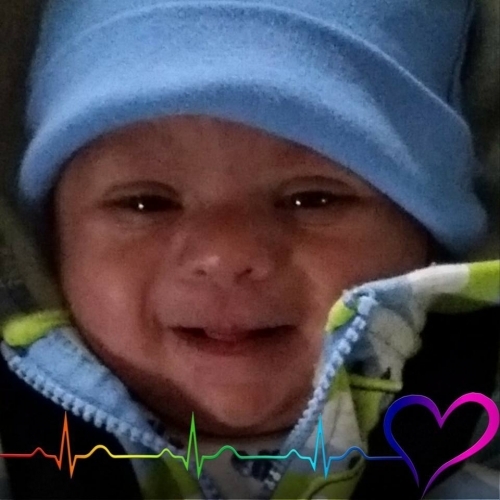 Baby Steffen’s story was one of the most heart-wrenching stories that we have covered at Health Impact News, and there still remains no justice for the family. At times, over the past year, it appeared that Annalise might be coming home. 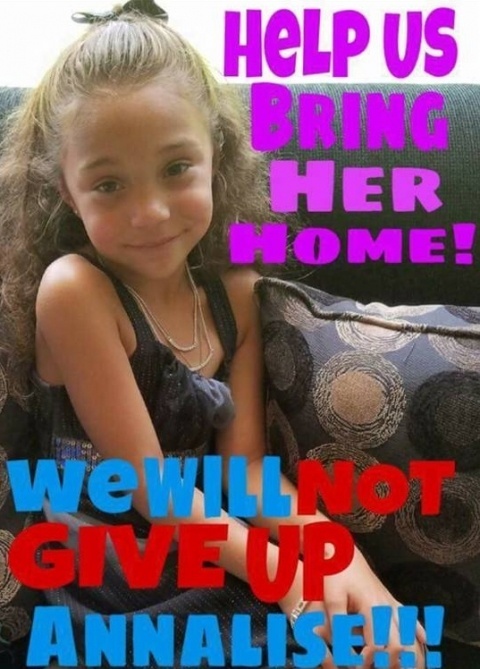 The family is still fighting to bring Annalise home. Photo source – Reunite the Rivenburgs  Facebook page. His parents missed 3 doctors appointments due to car troubles. Each one was rescheduled. One of these was for a voluntary visit with a Down Syndrome clinic. Annalise missed some school in the meantime. Patricia and Steffen Sr. were in the process of searching for an “umbrella school” – a homeschool cover school that they could use in order to legally homeschool in the state of Tennessee. They recognized that the baby’s heart condition and upcoming surgeries created conditions under which homeschooling would work better for their family. We spoke with grandmother, Lisa Rivenburg, who is the unofficial spokesperson for the family. She said that, though the parents have done everything that has been asked of them by DCS, Annalise is still not home. The family is devastated by the letter. 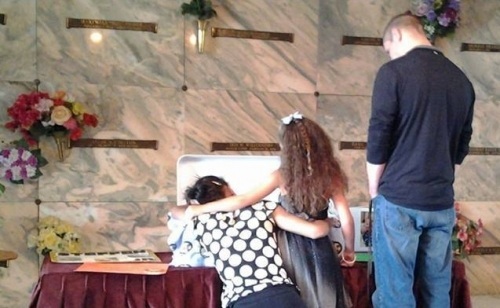 Annalise crying with her mother at Baby Steffen’s funeral. Photo source – Reunite the Rivenburgs  Facebook page. They currently have no attorney. They have talked with many possible attorneys, but without money, no one will take the case. Most lawyers told them that they “don’t handle” DCS cases. There’s nothing else to sell. The Rivenburg family is facing what many families face when their children are taken by the system – they do not have the money to fight the system, a system that has unlimited funding at its disposal, paid for by tax dollars. This is a major reason that the poor are disproportionately represented in the numbers of families whose children are taken away from them to be placed in foster care and/or adopted out to strangers. They simply don’t have the money to fight back. They want to file a malpractice lawsuit based on the results of Baby Steffen’s private autopsy, but they cannot find an attorney willing to go pro bono against Vanderbilt and DCS. 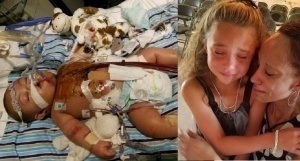 Court on Monday, June 11th, will be before the same judge who ruled that Baby Steffen could be taken off of life support over the wishes of his parents, Judge Wayne Shelton of the Montgomery County Juvenile Court in Clarksville, Tennessee. It will take a miracle to bring justice to this heartbroken family and bring Annalise home. March and Candlelight Vigil on Friday, June 8th, in Nashville at 2 p.m.
We are planning to meet up [in] downtown Nashville at 2:00 p.m. Friday, June 8, and march on the sidewalk on Charlotte Pike from the Supreme Court Bldg. 401 7th Ave. N, Nashville, to the Capitol, to the Historic Courthouse then across the Woodland Street Bridge to the Juvenile Justice Center 100 Woodland St., Nashville, 37213. At 8:00 p.m. June 8, we will be having a candlelight vigil in remembrance of Baby Steffen and all the people who have died or who live in constant pain because of judicial corruption. We can reconvene at the sidewalk between Legislative Plaza and the Capitol Building. Photo source – Reunite the Rivenburgs  Facebook page. What happened to Baby Steffen was the most horrible abuse by court order I have ever heard of. People need to understand what happened and that we have to rein in the judges. Lisa Rivenburg requested that supporters wear blue and yellow, in honor of Down Syndrome. More information about Friday’s events can be found at the Facebook event page – Nashville March on the TN Capitol and Candlelight Vigil here . Tennessee JAM (Judicial Accountability Movement) will be hosting a free event the following day, which will bring together speakers involved in various aspects of the family rights movement. The public is invited to attend. 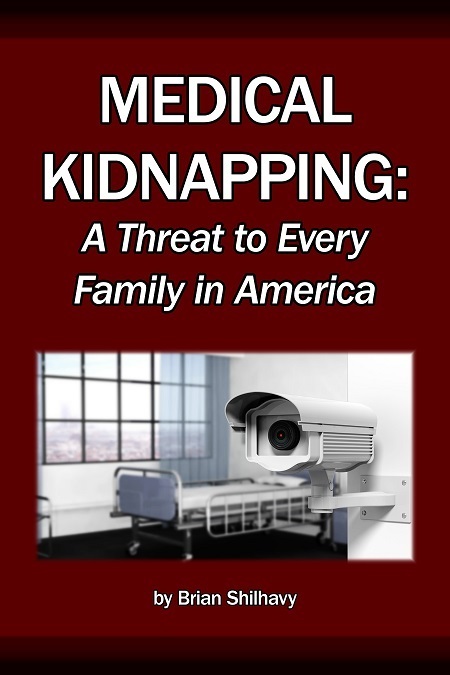 One of the speakers is Lisa Belanger, a Massachusetts attorney and contributor to Health Impact News on the topic of the medical kidnapping of senior citizens and guardianship abuse. 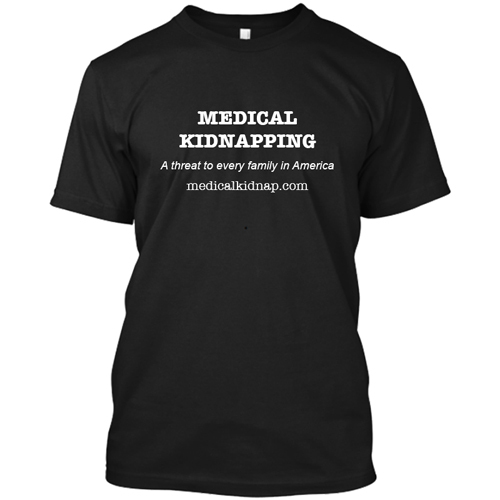 She began her fight against this corruption when her own father was medically kidnapped. 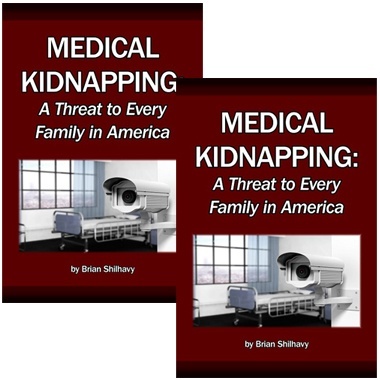 While she still fights for him, she now fights for other families and has become a leading voice on the topic of adult medical kidnapping. Attorney Lisa Belanger. Photo source . This event is “family friendly” and there will be childcare and activities available for young children and light refreshments will be served. 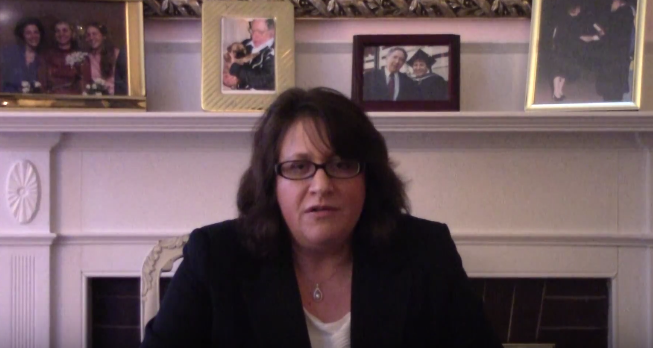 -Tammy Bennett-Daughtry, MMFT, is the Founder and CEO of Co-parenting International, Nashville, TN, launched in January 2004 as a resource to address the critical impact of co-parenting on children of divorce. Since 2004, co-parenting seminars, evening classes, newsletters and one-on-one sessions have helped change thousands of lives. Joyce the Voice, a singer/songwriter from CT, writes a mixed genre of songs to Live, Love, Laugh and Protest by. She has dedicated about 1/3 of her songs to be for the promotion of the Family Rights movement and for healing of herself and for others. She is co-administrator of the Facebook group, with Lydia A. Hubbell, called “Music and Arts for Parental Rights and Alienated/Foster Care Children”. For more information, see the Facebook event page here .